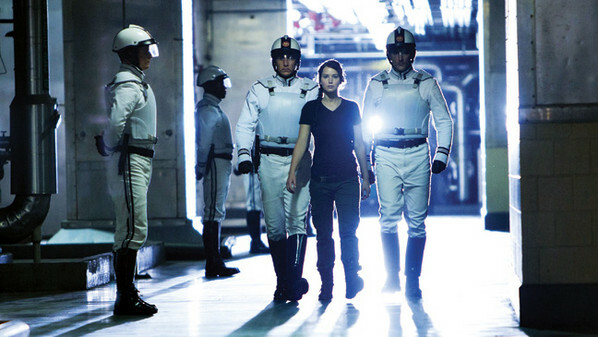 Summary: Fans can explore the districts of Panem and get a first look at the official map of the dystopian nation. Fans waiting with bated breath for the release of Lionsgate's film adaptation of The Hunger Games can spend their time in a new social media gaming experience that Lionsgate is releasing in cooperation with Funtactix. The Hunger Games Adventures allows fans to explore the world of Panem - the futuristic version of North America where The Hunger Games is set. Players will complete missions that will take them to each of the Districts and the Capitol where they will interact with the familiar characters from the book. The game will also be the first place fans can see the official map of Panem, and how the districts are laid out. Details for the Map of Panem will be rolled out in the game with a steady stream of chapter expansions as the game, and the world, reveals itself over time. "What makes fans of The Hunger Games so amazing is the level of personal investment they have in the characters and the story," said Lionsgate's Joe Drake. "We chose Funtactix to create this game because they bring the level of authenticity and quality to their movie-based social games that is crucial to fans of The Hunger Games." The Hunger Games film, directed by Gary Ross and based on the best-selling novels by Suzanne Collins, will star Jennifer Lawrence as Katniss Everdeen, a tribute of District 12 who - along with her fellow District 12 tribute Peeta (Josh Hutcherson) -- is forced to fight in the annual deathly games. The film's highly anticipated release is set for March 23.